Meet Rayme, a 5th Grader at Otter Lake Elementary in White Bear Lake Minnesota. Rayme is considered a leader amongst his classmates academically and socially. Rayme is involved in various groups such as the Otter Lake Math Masters team, orchestra, and even the bus patrols. One of Rayme's biggest moments of this year perhaps was testifying before the Minnesota Senate as an advocate for water conservation. 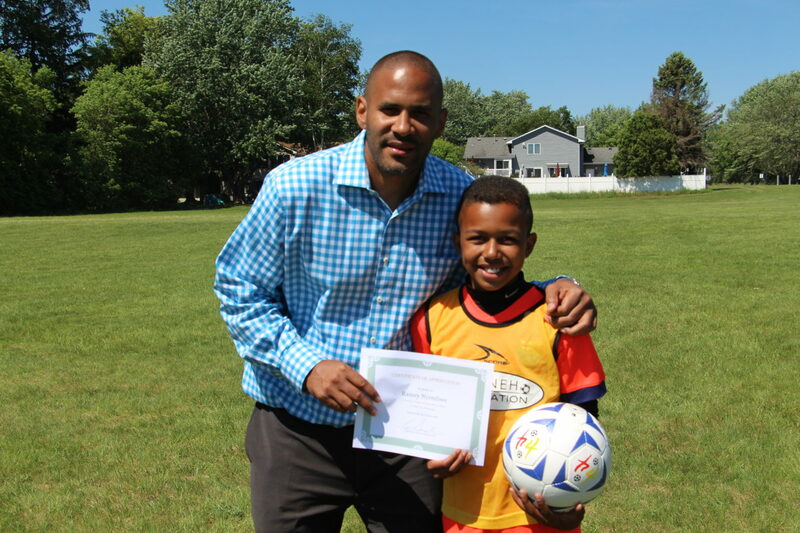 Rayme also plays soccer for the White Bear Crushers soccer team, where he is a defender. Rayme has been a part of some amazing things. 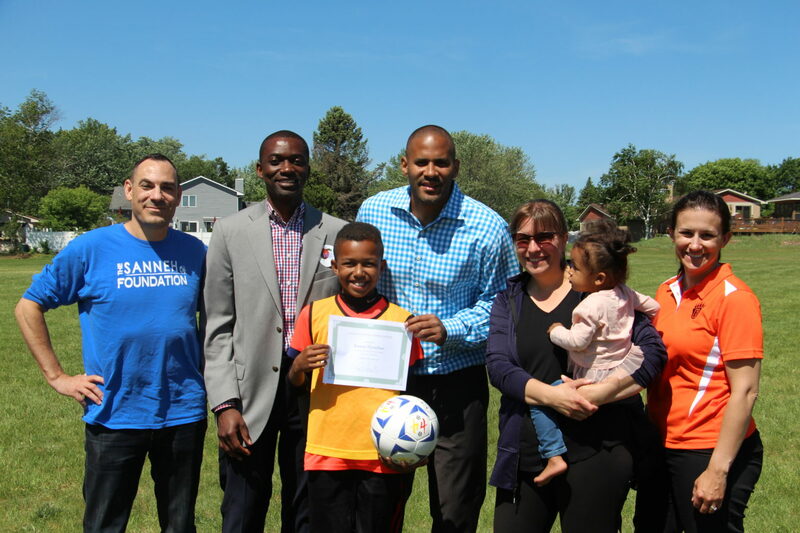 Tony Sanneh, former Major Leauge Soccer Star and 2002 World Cup participant for team USA, now CEO of The Sanneh Foundation, got wind of all of the great things that Rayme was doing. Tony, being a big community leader himself, was thoroughly impressed with a 5th grader with so much capability. He decided to surprise Rayme and his 5th-grade classmates by visiting Otter Lake Elementary a putting on a soccer clinic at the beginning of the school day. Tony spent the morning hanging out with the 5th graders and teaching them skills. He also made sure that everyone in the class was given a soccer ball. Rayme is destined for a great future. He is a bright young leader, and we can't wait to see what he will bring to the world.